100 pieces = 10 lbs. Imprint Area: 1 3/4" Dia. 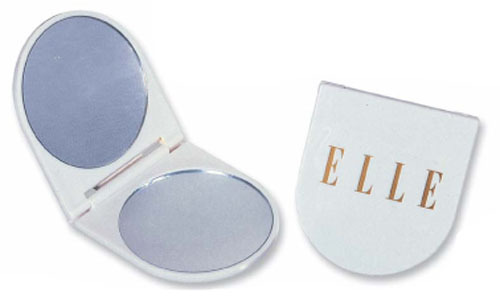 Price Includes: Mirror with one color imprint.